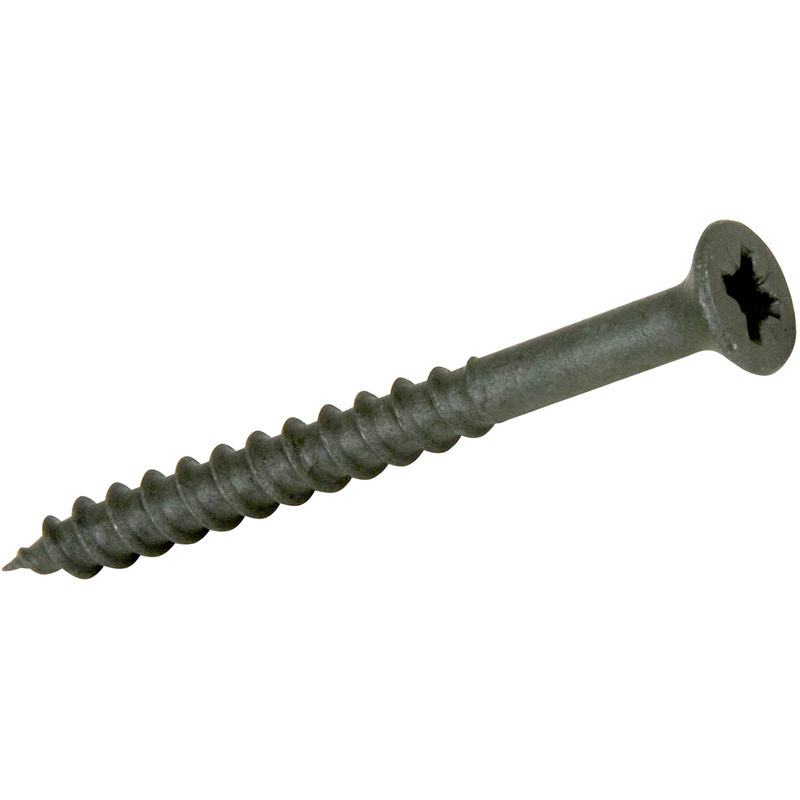 Deck-Tite Pozi Screw 4.5 x 50mm (200 Pack) is rated 4.6 out of 5 by 11. Rated 5 out of 5 by rexprofi from Tough wood screws Great screws, tough even for oak railway sleepers! Rated 2 out of 5 by NickC from Not as picture These are threaded the whole length and so do not pull the board down onto the support. Annoying. I've had to drill clearance holes in the decking. Rated 5 out of 5 by Trucker00769 from Deck screws I wanted a screw to do a project in the garden and this screw fulfilled that requirement. I didn't want to go with one of the cheapest, so chose these and was very happy with the result. To soon to say about the coating and rust etc. But I guess all will be good. Rated 5 out of 5 by Derek TP from Good quality Zero bad ones in box after box. Very clean pozidrive heads reduce wear on screwdriver; sharp point makes for easy starting and finish makes for long life and easy insertion. Rated 4 out of 5 by DiyDeano25 from Look great! I bought these last week but exchanged them for the 40mm ones as i had got the wrong length required. I have not used them as yet but have used something similar in the past,i'm sure they will do the job perfectly. Rated 5 out of 5 by ElTel from Best quality I use these screws all the time and wouldn't use anything else outside. Rated 5 out of 5 by Noaks from They do exactly what it says on the box I bought this product to fix down my new T & G floor boards in my loft, a great product. My only problem was with my local Halifax Store’s stock, they had run out. They phone the Bradford Store, they had 1 box in stock which was placed on one side for me to collect about an hour later.